Innovative Wheelchair ramps designed by PVI, the multifold ramp separates into two pieces for easy carrying; folds, carries like a suitcase. Closure strap locks the panels together; lightweight, easy to handle and set up. PVI has a full line of handicap ramps. 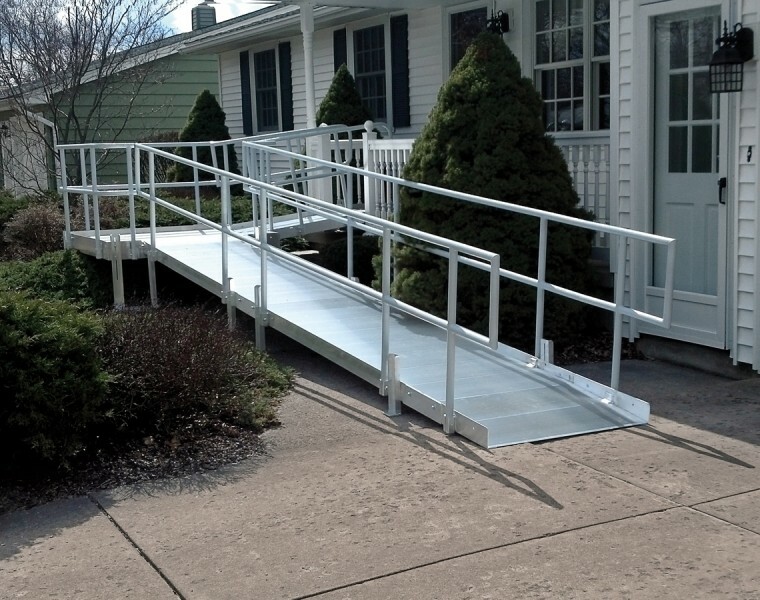 PVI is also proud to be the inventor of the original multifold access ramp. 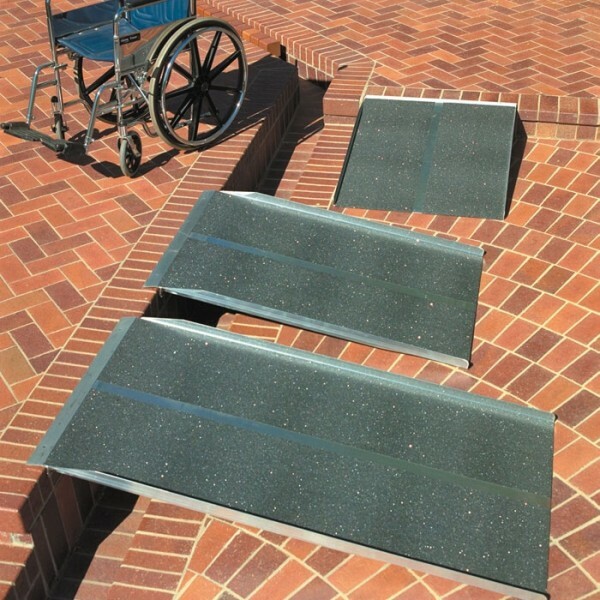 There are knock-offs of this popular ramp by other companies, but PVI ramps have set the standard of excellence. PVI Products are tested to a 3X safety factor making them pound for pound, the strongest and lightest ramps available. PVI Ramps are proudly made in the USA. 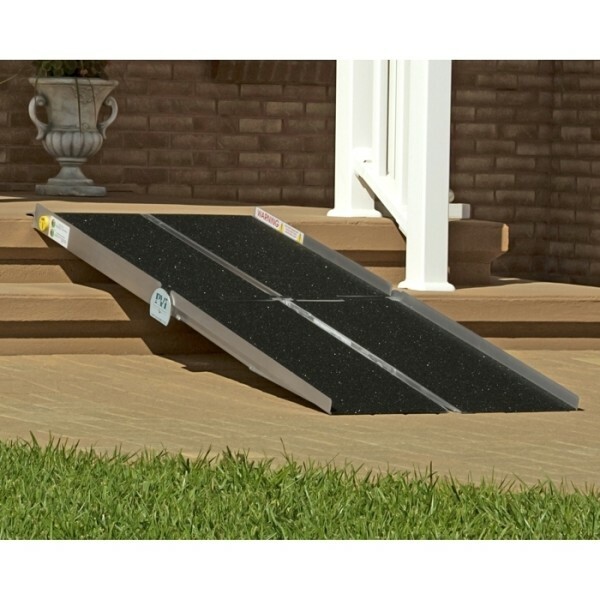 PVI also has solid ramps to fit your needs. Their full platform provides excellent stability, has durable welded construction, anti-slip, high traction surface, accommodates wheelchairs and scooters with various wheel configurations. Like all PVI Ramps it comes with a limited lifetime warranty.